Written by Daniel Marques Périgo R.Ph. 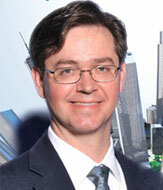 and Rogério Rabelo M.D., Ph.D.. This second lesson on ISO accreditation and standards discusses the larger ISO 9001:2000 standard and the idea of Quality Management Systems. Our second essay on ISO, after the basics presented in our first essay, will go deeper into the details of ISO 9001:2000 as a Quality Management System (QMS). Our intention is to show that, when you understand the concepts behind this system, it becomes very clear how it can be applied to the clinical laboratory. We will also take you through the basic principles stated in ISO 9001:2000 standards that, when implemented and maintained in a QMS, will help our clinical laboratories to meet the objectives of continual quality improvement and patient satisfaction. The ISO 9000 series is a collection of good management practices related to quality systems and composed of generic and specific standards. Developed by the ISO Technical Committee (ISO/TC) 176 – Quality management and quality assurance - its intention is to help organizations meet and increase customer satisfaction and achieve continual improvement. Quality, in fact, can be defined as “the degree to which a set of inherent characteristics fulfills requirements”. In the case of clinical laboratories, many of these requirements are specified by customers and organizations must be able to achieve them. That’s the reason ISO 9001, being a standard focused on customers satisfaction, is applicable to our clinical lab context. According to the scope of certification, the organization could decide which standard should be implemented. However, at the same time ISO 9001 was adopted by many companies worldwide, it also received many criticisms: it was too bureaucratic, too operational, departments-focused, without a systemic approach…The concept of quality assurance stated by the ISO 9001:1994 in fact made it distant from management and closer to operational control. That’s the reason the standard was revised in the year 2000… and what many people still don’t know is that its new version– the ISO 9001:2000 - is totally focused on business and quality management (and less bureaucracy…). The ISO 9001:2000 – “Quality Management System – Requirements” replaced the 1994 standards ISO 9001, 9002 and 9003 by unifying them. It presents requirements to the implementation of quality management systems. Its main objective is to achieve customer satisfaction by meeting their needs and also by providing conforming services/products and developing continual improvement. A Management system is the set of interrelated or interacting elements that allow an organization to establish policies and objectives and to achieve those objectives. The coordinated activities to direct and control an organization with regard to quality are what we call a Quality Management System (QMS). Actually, it’s the way things are done to satisfy the customer quality requirements. Remember that, as a generic standard, the ISO 9001 indicates “what to do” in a quality management system but not “how to do” it. 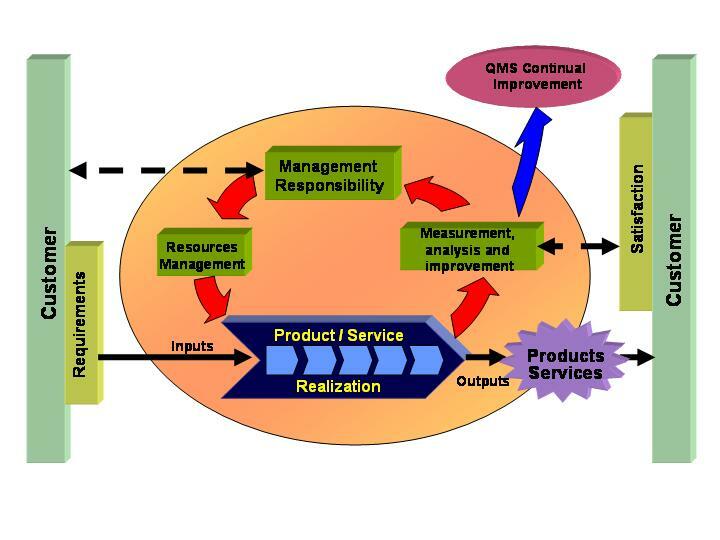 Figure 1 shows the QMS Model of ISO 9001:2000 and the interaction of its requirements, leading to customer satisfaction. Customer-focused organization: organizations should understand customers’ current and future needs, and exceed their expectations. Leadership: establish a unity of purpose and direction creating an internal environment where people can contribute to achieve the organization's expected results. Involvement of people: full involvement of employees enables their abilities to be used for the organization’s benefit. Process approach: systematic identification and management of the various processes employed within an organization and the interactions among these processes in order to obtain the desired result. Systemic approach: managing a system of interrelated processes to a given objective contributes to efficiency. Integrating and aligning processes leads to better results. Continual improvement: should be a permanent objective of the organization, leading to improvements in the overall performance. Factual approach to decision making: effective decisions are based on the logical analysis of reliable data and information. Mutually beneficial supplier relationships: establishing relationships with suppliers to enhance the ability of both organizations to create value. 5.1 Management commitment Top management shall demonstrate its commitment to the QMS, establishing policies, objectives and plans and ensuring the achievement of customers and legal requirements. The organization shall define responsibilities and authorities and establish an effective internal communication system. 6.1 Provision of resources Top management must identify where resources are needed and provide them in a timely manner, including human resources, infrastructure and continual education. 7.1 Planning of product realization The organization shall identify, plan and implement processes under controlled conditions to realize the services/products. Purchased products should meet the organization's specifications. Customer requirements must be identified and assured during the process. 8.1 General requirements The organization must implement methods to monitor, measure and analyze processes and customer satisfaction. Non-conformities must be identified and corrective actions taken. Continual improvement and preventive action should be pursued. Companies wishing to implement a QMS are expected to meet these requirements and present evidences of the maintenance of the system. The implementation of a QMS based on ISO 9001:2000 requirements is a very good opportunity to improve the quality of internal processes and achieve the expected results of clinical laboratories. The QMS can be considered one of the best ways to assure continual improvement and, as a bonus, it also makes it easier to evaluate management and performance. It suits perfectly the real world of our clinical labs, helping us to make the difficult liason between the quality-driven nature of our services and the current performance-driven reality in the Health Care System. It’s worth a try! Dr. Rabelo is the Management Representative for Fleury Diagnostics’ Integrated Management System (ISO 9001:2000 and ISO 14001:1996). He is also a Medical Consultant in Clinical Chemistry/Medical Biochemistry and a Product Manager (High-volume, Automated Testing and POCT) at Fleury Diagnostics. He got his M.D. from the Federal University of Goiás, in Brazil and his Ph.D. from the University of São Paulo, Brazil, with a joint research project developed at the Lady Davis Institute for Medical Research, McGill University, Canada. His post-doctoral training in Clinical Chemistry/Medical Biochemistry was done in the Department of Medical Biochemistry/Laboratory Medicine, Jewish General Hospital, McGill University, Canada. He is currently doing his MBA at University of São Paulo, Brazil. Mr. Périgo is the Integrated Management System (IMS) Coordinator responsible for Fleury Diagnostics’ Quality and Environmental Department. He is a Pharmacist, graduated by University of São Paulo, Brazil, with specialization in Clinical Assays. He is also certified as specialist in both Quality Management and Productivity (by Vanzolini Foundation, from University of São Paulo) and Environmental Management (by the College of Public Health, University of São Paulo, Brazil).